Looking to hire someone at your Lynchburg, VA business? Hiring a recent grad can be a smart move. While graduates are just starting to gain experience, their recent education and fresh perspective can benefit your company. What values do recent graduates bring to your business? Recent graduates are usually very excited about entering the workforce and are eager to work hard to start building their career. This eagerness means that they are willing to take on tasks with enthusiasm and to be productive, which means more gets done at your company. Ambition makes for hard workers. Many graduates are optimistic about their potential, in part because they are just starting out and the world is still before them. This optimism can be infectious and can bring hope and enthusiasm to the rest of your team. Optimism can also lead your team members to try new things. Graduates are eager to learn from others and their willing to work with others, especially if they’ve spent the past few years living in dorms and working on group projects. Teamwork allows you to make the most out of everyone's skills and can help your workers get more done. Most new graduates, especially millennials, tend to be socially conscious. They want to make the world a better place, and that can mean that they speak the language of your clients and customers. It can also mean that they can help your business become more sustainable. Many graduates are very open-minded. They have encountered many types of people at college or university and have taken classes offering a diversity of opinions and ideas. As a result, they may be very willing to accept diversity in the workplace. If you're trying to build a diverse business that builds on everyone's unique skills, this acceptance can help your team work together. This may be the most obvious value that new graduates can bring to your business, but it's important not to overlook it. Recent graduates have the latest information and skills. They are up to date about the latest processes, techniques, social media systems, and industry trends. They can bring the most relevant and freshest perspectives and skills to your workplace and they may offer a new outlook, too. Graduates who attended traditional schools or colleges probably have gone to their fair share of social events. A recent graduate who loves fun can be a surprising benefit to the workplace, especially since happy workers tend to be more productive. Someone who brings laughter and fun into the workplace can make the workplace far more pleasant to others. New graduates bring some beneficial values to your business – values that can transform your company and can help you become more productive and successful. 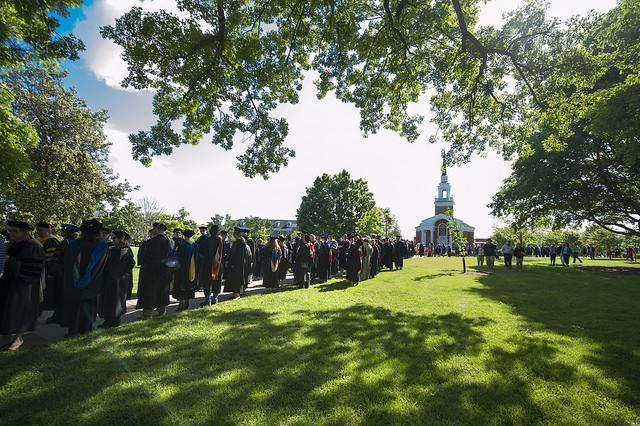 Lynchburg, VA has many new grads thanks to its six local colleges and universities. You can build relationships with students early by liaising with internship coordinators to find outstanding local candidates. Or, if you're recruiting talent from outside of Lynchburg, take a look at our Guide To Relocating to Lynchburg, VA, or this post: Relocating to Lynchburg, Virginia? 9 Awesome Things To Explore.